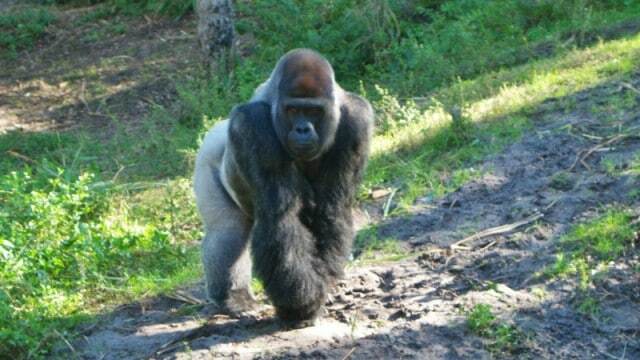 1) Gorilla Falls Exploration Trail – Guests who enjoy the Maharajah Jungle Trek will also love another self-guided walking tour that can be found in the Africa section of the park. The Village of Harambe is very popular with guests who visit The Festival of the Lion King and Kilimanjaro Safaris. Those who are looking to avoid the lengthy wait times and heavy crowds should head over towards the exit of Kilimanjaro Safaris where another self-guided walking trail can be found. The Gorilla Falls Exploration Trail allows guests to explore the beautiful Pangani Forest and animals of Africa at their own pace. Guests can take their time exploring and observing animals such as Grevy’s Zebra and Meerkats before happening up on the final beautiful habitat. Massive grassy hills and gently flowing waterfalls are the home of lowland gorillas who guests can observe from several different vantages. Many of the gorillas can often be found playing, foraging for leaves ad food, or simply enjoying a nap in the warm sun. Guests who enjoy the Gorilla Falls Exploration Trail are sure to love the beauty of the experience while also avoiding the crowds in the rest of Disney’s Animal Kingdom.